The ability to live more fully in the present arises from a sense of our history and the occasionally winding journey taken to arrive where we now find ourselves. 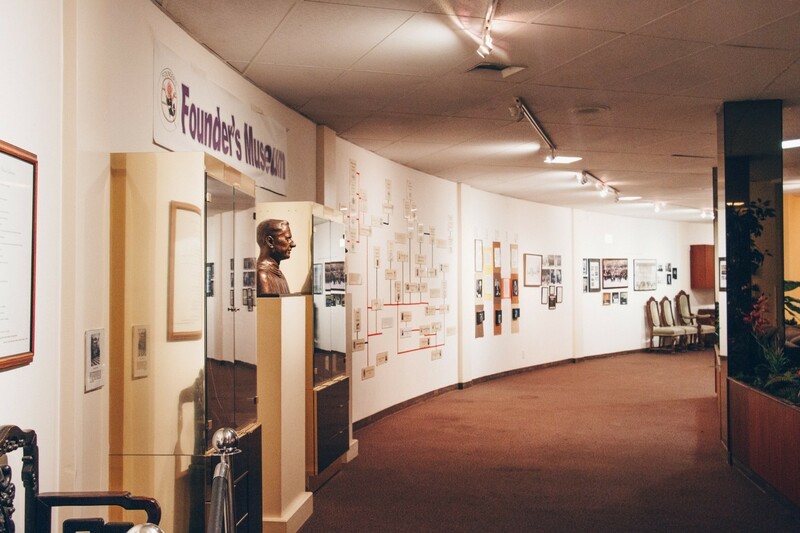 The Founder’s Museum is a place where important objects relevant to our history are displayed with the concept of shedding light on significant people and organizations that played a role in Founder’s current form of expression. The Museum’s present version is in no way complete; thus, we see it as a Living Museum—sure to evolve as additional information or historical pieces are integrated in to the display. Funding will be crucial to maintaining and expanding the museum in the future. Founder’s welcomes donations of whatever size or scope to continue this vital aspect of our legacy.